Lisa and James had their beautiful wedding at Moddershall Oaks. I’d never been to Moddershall Oaks before and was stunned when I arrived; it truly is a beautiful venue. The grounds are perfect for getting some great outdoor shots, especially around the lake, which looked amazing when the sun was going down. Lisa and James were a lovely couple to work with and I hope that they remember their wedding day with many happy memories.  If you are looking for a wedding videographer at Moddershall Oaks contact me for information and prices.